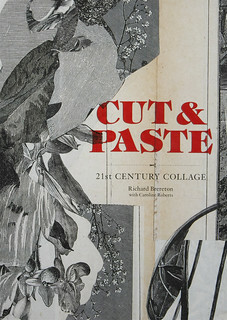 Cut & Paste: 21st Century Collage (Laurence King, £12.95), by Richard Brereton and Caroline Roberts, brings together collage works by 42 artists, including well known names such as Sara Fanelli, John Stezaker and Christoph Niemann (see ‘Storytelling giant’ in Eye 72). 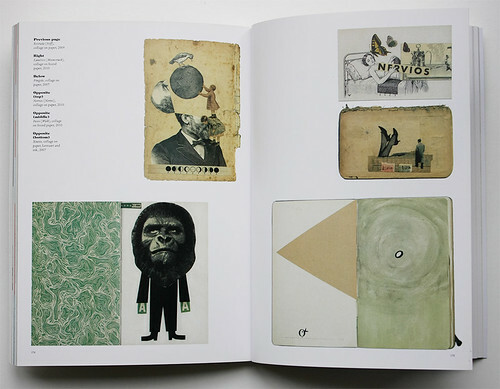 The book showcases collage as a medium that ‘connects the past with the present’, evidenced in the works’ juxtaposed assemblage of eclectic images. The selected work, which is ‘not a definitive list’ of those working in the medium, is a refreshing side-step to the saturated landscape of digitally created images. 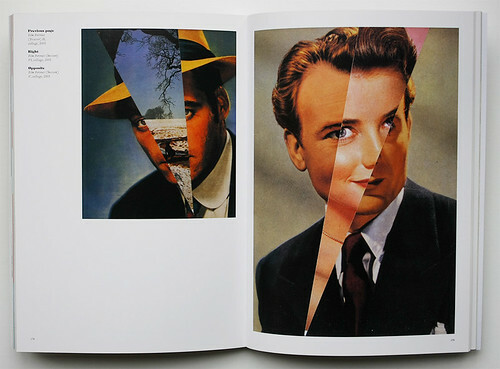 John Stezaker’s Film Portrait (Incision) VI, 2005 (left) and Film Portrait (Incision) V, 2005 in Cut & Paste: 21st Century Collage. 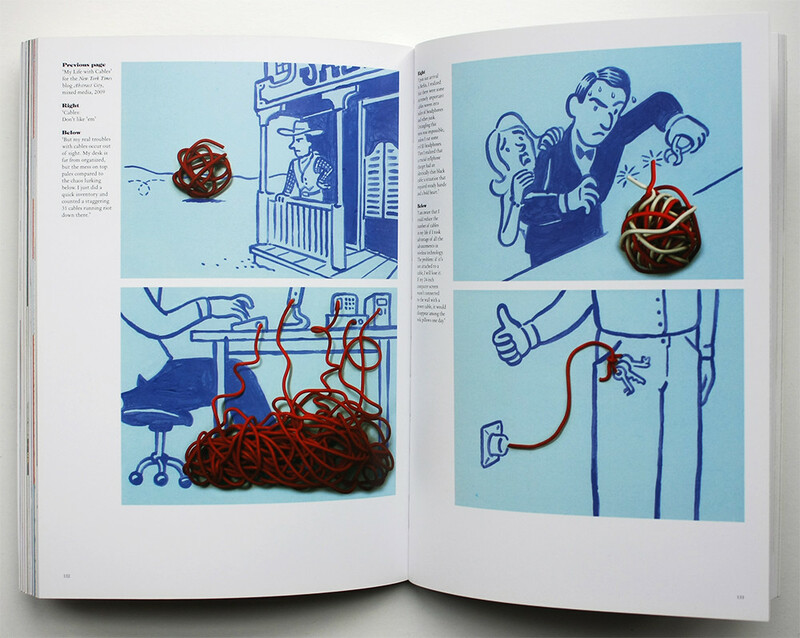 Top: Images from Christoph Niemann’s series ‘My Life with Cables’ for the New York Times blog Abstract City. Spread showing Dani Sanchis’ Lunático [Moonstruck], 2010, and Póngido, 2007 (left) and Nervios (Nerves), 2010, Paseo (Walk), 2010, and Xiuxio, 2007 (right). Cover design by Pentagram using image by Valerie Roybal. Book design: Masumi Briozzo. 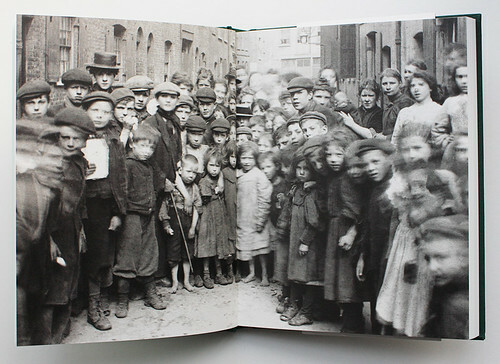 The Gentle Author’s most recent book Spitalfields Nippers (Spitalfields Life Books, £20), brings character to amateur photographer Horace Warner’s ‘Spitalfields albums’ which show the poor social conditions of the historical East London community in the early 1900s. These photos have remained in the private collection of the Warner family for nearly a century. 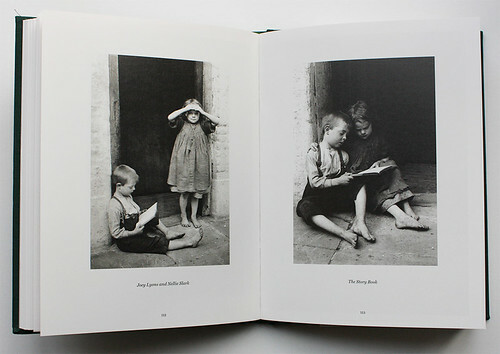 The Gentle Author writes, ‘his Nippers were creatures of the byways, alleys and yards’ who lived in a ‘discrete society independent of adults in which they were resourceful and sufficient.’ Horace’s compassionate photography of the Nippers allowed them to present themselves to the camera as they wished. The book also includes research on the lives of the children featured. The index of information about the lives of the ‘nippers’ were collated using public records ‘which may suggest a braoder picture of the lives of the children in Horace Warner’s photographs’. Joey Lyons and Nellie Slark reading together. The children’s biographies uncover that Lyons worked as a boot finisher, served in the Second World War and died in 1968 in Suffolk. Less is known of Slark, whose ‘family were recorded as living in Little Pearl St in 1901’. 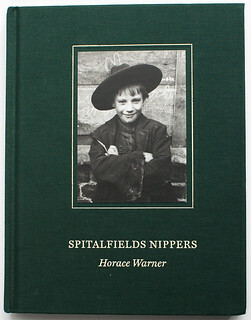 Spitalfields Nippers by Horace Warner, introduced and edited by The Gentle Author. Design: Friederike Huber. A Field Guide to East London Wildlife (Hoxton Mini Press, £8.95) illustrated by Ian McDonnell and written by Harry Adès is a small-format guide book to the creatures that roam the East End – a retired greyhound, rose-ringed parakeets, terrapin, frogs and of course, the fox, pictured on the book’s cover bin-diving for his dinner in chicken shop boxes. The text includes little known facts that show off the resourcefulness and intelligence of urban animals – ‘one crow species has a command of causal reasoning similar to a 5-year-old child’– with reminders to watch out for less-resilient city dweller, the hedgehog whose numbers are plummeting across Britain. 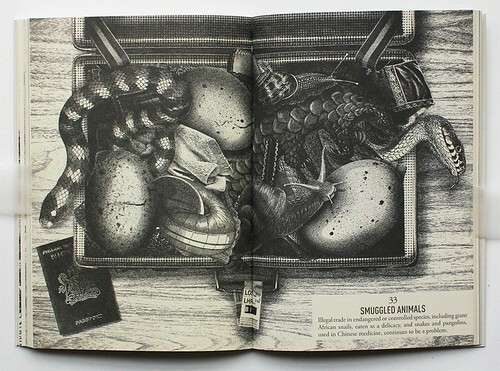 Spread of ‘Smuggled Animals’ from A Field Guide to East London Wildlife by Ian McDonnell and Harry Ades. 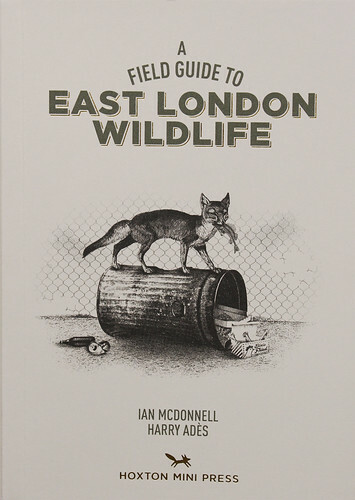 Cover of A Field Guide to East London Wildlife by Ian McDonnell and Harry Adès. Photographer Dougie Wallace’s Shoreditch Wild Life (Hoxton Mini Press, £14) features a different kind of wildlife. It is the fourth book in the series ‘East London Photo Stories’ and aims to capture ‘the best (and worst) of life in modern Shoreditch’. Wallace’s street photographs show more of the grit, booze and police presence in the East End than the ‘creative’ scene – smoking, swearing and getting drunk rather than galleries, hipsters and craft beer. This chaotic, dark and grimly funny vision of Shoreditch is beautifully produced by Hoxton Mini Press, and you can buy a collector’s edition in a clothbound clam-shell box for £45. Cover of Shoreditch Wildlife (Hoxton Mini Press). 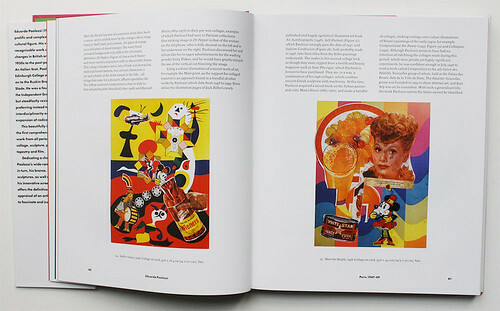 Spread from Eduardo Paolozzi, including Sack-o-sauce (1948, left) and Meet the People (1948), Tate. 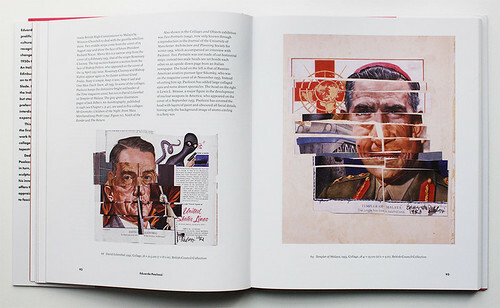 Spread from from Eduardo Paolozzi including Paolozzi’s collage works David Lilienthal (1952) and Templer of Malaya (1953), British Council Collection . 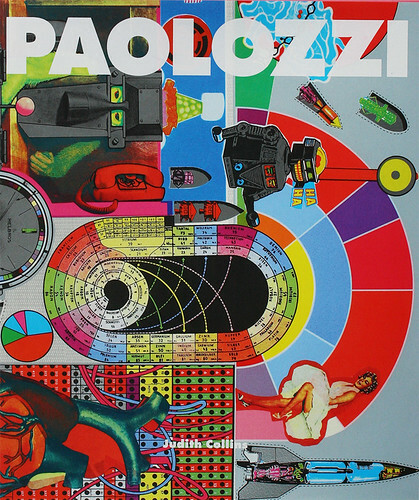 Cover of Eduardo Paolozzi by Judith Collins. Design: John Morgan studio.